NCAA Mens Basketball Tournament feel good stories are plentiful as this year’s tourney features the most likable four teams in tourney history. Loyola-Chicago, the big underdog shocked folks from their #11 seed, features a 98 year-old nun as team chaplain and media star. Villanova, the winningest program for the past 4 years led by classy coach, Jay Wright, looks to be on the verge of another championship. When you think Michigan hoops, the constant is the highly successful coach John Beilein. Does any coach have more fun with his players? The storyline for storied Kansas program this year is that center Udoka Azubuike’s mom saw her son for the first time in six years as she made it to his Final Four game from Nigeria. Sister Jean Dolores Schmidt has been with Loyola for over 50 years. She has been a basketball player and coach, and leads the men’s basketball team players in prayer before all their games. Sister Jean has been part of the Sisters of Charity of the Blessed Virgin for over 80 years and earned several degrees from different schools in Los Angeles. Coach, teacher, and principal are roles Sister Jean has experienced in different schools in Illinois and California. She joined Mundelein College in 1961 which became part of Loyola-Chicago, where she retired in 1994. Around a decade ago, she was planning to join a convent in Iowa because she was jobless. But Michael Garanzini, Loyola’s former president, hired her and she became part of her favorite school. As a fan, Sister Jean filled out NCAA bracket this year. She didn’t think that her team would go beyond the Sweet 16, but she was proven wrong when they beat Nevada in a breathtaking 69-68 match in Atlanta and entered the Elite Eight. Sister Jean also has another bracket which she calls the Cinderella dream bracket, where her team is going right to the top. The moment Sister Jean came into the limelight, Loyola-Chicago officials have been receiving many requests for licensing her name and image. And the enthusiastic nun gave her approval without asking for any compensation. The school has approved dozens of Sister Jean T-shirts from several companies that also include Fanatics, the largest sports website in the world. Hundreds of unlicensed products have been sold with her image without even having any official record. Back in 2011, Loyola-Chicago began giving away her bobbleheads. And in 2015, the Loyola University Museum of Art reproduced the bobbleheads and began selling them again. On Ebay, the Sister Jean bobbleheads have been offered at very inflated prices including at least one that was offered for over $500. Messages of love and appreciation for Sister Jean have been pouring in from everywhere. Barack Obama is one of the biggest fans of the team who also has Chicago roots. The nun received a direct tweet from the former president. A petition has also been started to have her on the Ellen DeGeneres Show. And she is increasingly trending on Twitter and other social networks. The Loyola Ramblers beat Kansas State to make it to the Final Four and have emerged as the most thrilling Cinderellas in the history of March Madness with their last-second win. There is so much to be cherished in this amazing run by the team. It is the 4th No.11 seed to have made it to the Final Four within the tournament’s new era. When the team met Kansas State, it was for the first time that a No. 9 met a No. 11 in the Elite Eight. It is easy to determine what a magical run they have had when you consider that this team is the first to have won three consecutive games in the tournament off last-second winning jumpers. Miami was beaten right at the buzzer. They beat Tennessee 3 seconds before, and Nevada 6 seconds before the buzzer. Hmm, it almost seems like they have the help of a higher power. Well, Sister Jean’s brackets busted when Michigan came from behind to beat the Ramblers. If you consider that they have won 14 games in a row, the highest among all the teams currently in the tournament, you have to say the season was a huge success for the undersized school. The team has been great not just in the offense department, but also in defense. In fact, many fans haven’t realized that their defense ranks in the top 5 at the national level. The time and scenario are quite different this time, but Loyola certainly enjoyed a dream run. 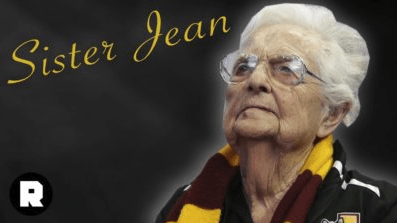 And with the blessings of Sister Jean and the electrifying environment that has been created with her sudden fame, the Ramblers played their hearts out. When Villanova won the championship in 2016 on a last second shot, his first move wasn’t to scream and go crazy, but rather to console the losing coach. Youth coaches and players take note of Wright’s behavior: gracious in defeat and victory. One indicator of how well Wright coaches is when star player Jalen Brunson fell to the floor trying to save a ball heading out-of-bounds, his four teammates on the floor rushed to lend him a hand getting up. Coach Beilein seems to balance having fun with instruction as well as any other college basketball coach. 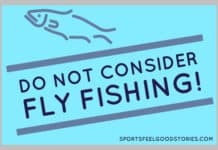 See the video below for proof. Happy to report that the reunion did take place when Udoka met his mom at the airport the night before KU’s loss to Villanova. A lot of stories, drama, heartbreaks and joys in one little basketball tournament that many consider to be the best event in sports. Heck, we haven’t even seen this year’s version of “One Shining Moment” yet. Great tournament. Great stories.